The US Consumer Products Safety Commission has announced a recall of over six thousand bikes with stems manufactured by California's Easton Sports. The stems themselves are manufactured in China. The company has reported that there has been a single incident of the stem breaking. This incident resulted in reportedly minor injuries to the rider. The company presumably initiated the recall due to concern that there would be further incidents resulting in more serious injuries. A consumer may bring a case for their injuries when the bike or one of its parts is unreasonably dangerous, and that dangerous condition led to the injury. The law in these cases is often complicated and multifaceted. 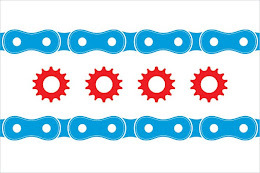 If you have been injured because of what you believe to be a faulty bicycle or bicycle component or part, please contact Attorney Mike Keating at 312-208-7702 or MKeating@KeatingLegal.com.